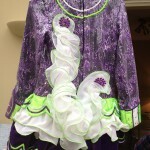 This is a very beautiful dress, and has only had one owner for 2 years. 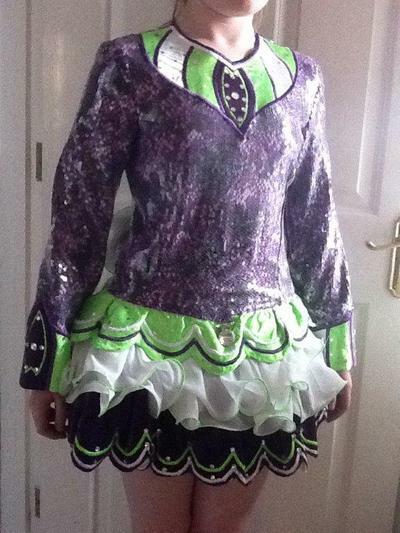 The colours on the dress are Purple, Green and White plus the bodice which is purple snakeskin covered in sequins that really sparkle when Dancing. The skirt is satin and velvet. It is in very good condition and it is very clean. The dress is from a smoke free home. 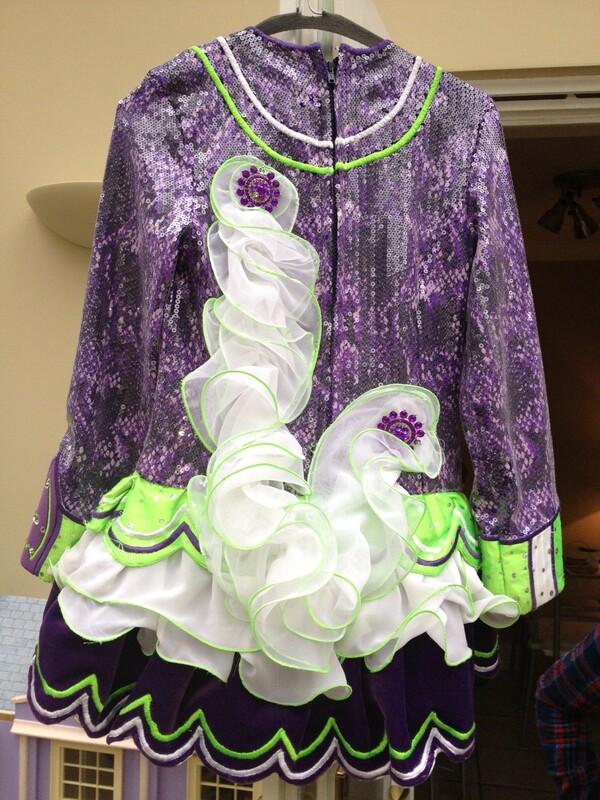 The underskirt is green with silver sparkly dots, with matching plain green kickpants. The Headband is purple snakeskin like the bodice covered in sequins. The Dress has a lovely stage presence. Asking Price: £375. Shipping costs are not included in the asking price. Sale is final.